Join us for a public discussion with the curators and artists of Chance Ecologies, a public art project currently taking place in Long Island City, Queens. 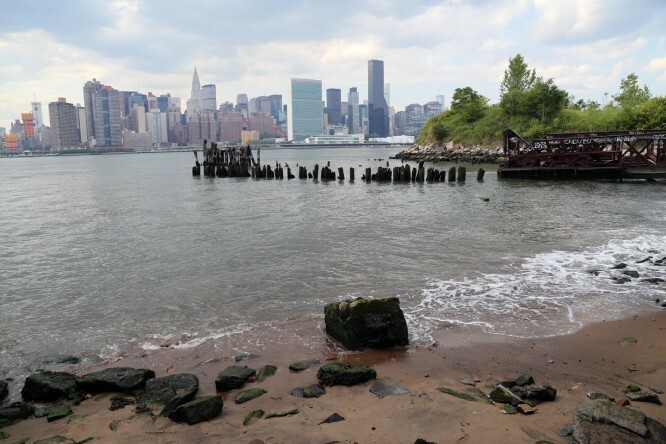 This event will be a roundtable conversation about Hunter’s Point South, a historic post-industrial site on the East River which has been left to become a wilderness over the past 30 years, and which will soon become a residential development. A group of artists is currently creating new artworks focused on this unique site, and will discuss some of their initial findings with the community at Radiator Gallery on Sunday, Aug. 23rd at 8pm, over drinks and light refreshments.